My smile has always been very important to me. There is nothing like a healthy smile to give you the confidence that you need. I always feel like your smile is your best accessory. My smile hasn't always been so great. I wore braces for 6 years of my life. From 4th grade to 10th grade I had those ugly little metal things hiding my smile. When I finally got my braces off and saw my new smile, I promised myself that I would always take good care of my teeth. For 16 years I wore my retainer to bed almost every night. I brush my teeth often, floss and I keep up on those teeth cleanings every six months. I'm proud to say that I've only had one cavity my whole life. But even with my good dental care, my teeth are still not as white as I'd like them to be. I drink coffee daily and I enjoy wine, beer and the occasional pop. I use whitening tooth paste and mouthwash, but I still wish I could have whiter teeth. I've looked into getting my teeth whiten at the dentist, but insurance doesn't cover it and it can get pretty pricy. 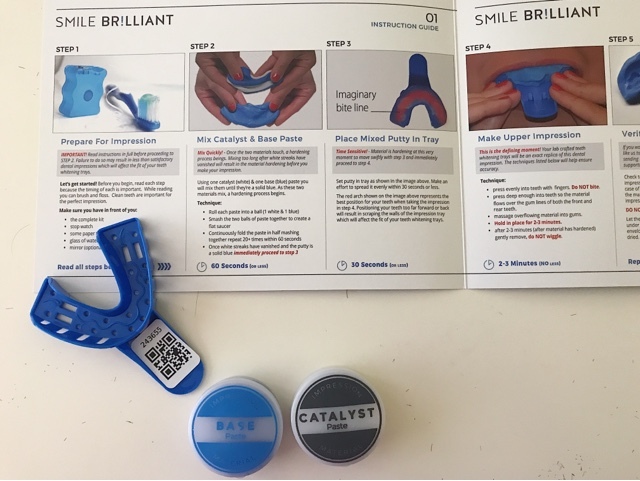 That's why I was so excited when Smile Brilliant contacted me to see if I wanted to collaborate with them and try out their teeth whitening system. 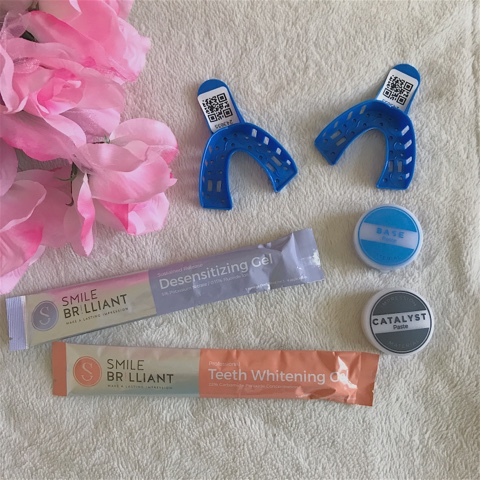 Smile Brilliant is a professional at home teeth whitening system that simply removes the stains from your teeth and brings out the natural color. At first I was a little intimidated by the system, because it all seemed very involved and I didn't want to mess anything up. After doing a little research, I quickly realized that it wasn't so hard. Smile Brilliant sent the kit to my house with everything I needed. 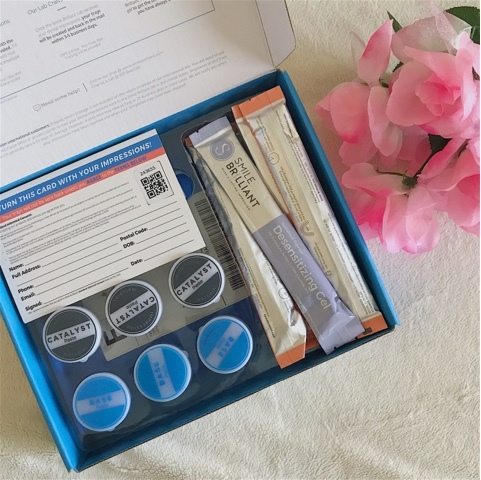 The teeth whitening kit came with the whitening gel applicators, desensitizing gel applicators, impression trays, catalyst paste and base paste to make the impressions. It also came with an envelope with shipping to send the impressions back to the lab. The first thing I did was make my impressions. I can remember having to make impressions so many times when I was at the orthodontist as a kid, so I felt like this processes was pretty easy for me. I followed the directions that came with the kit very closely so I didn't mess anything up. When I was done, I filled out the card that came with the kit. I placed the impressions and the card in the envelope and dropped it in the mail box. I was surprised how quickly they were able to send back my custom-fitted trays to me. Once I received my custom-fitted trays, I was ready to go. The instructions are very easy to follow, you just need to set aside time to do the treatments. I found it easy to do my whitening in the evening, which is what is recommended. 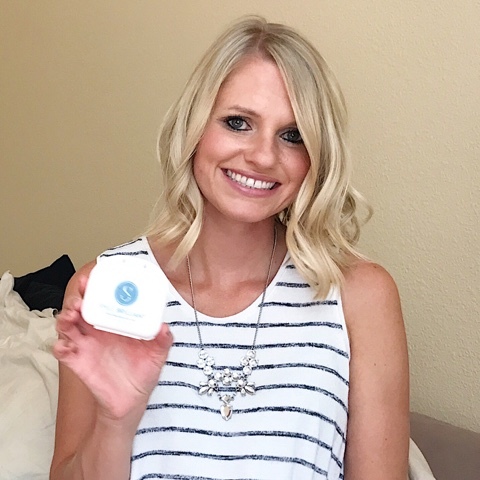 I wore the whitening trays for an hour or so before bed, while I cleaned up around the house and got some blogging done. 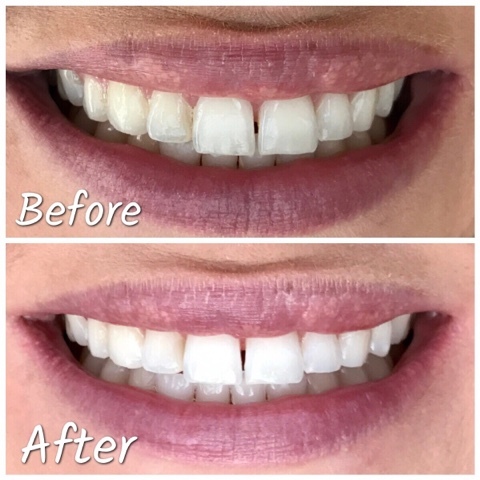 After you are done with the teeth whitening gel, you brush your teeth, wash and dry the trays, then you use the desensitizing gel for 20 minutes. Some people experience some gum irritation or teeth sensitivity, but I didn't have many problems with that. I think that the desensitizing gel really helped any of the teeth sensitivity that I may have experienced. Everyone's results are different. For me, my teeth have a natural white color to them, so the whitening helped with removing the stains from around my gums and on my side teeth. I'm really glad that I had the chance to brighten up my smile. Now here's the fun part! 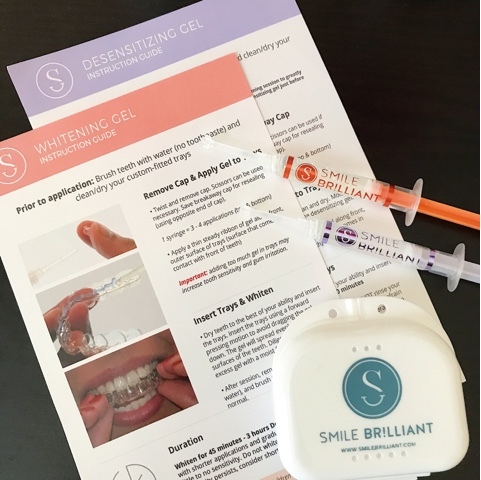 Smile Brilliant is going to give one of my readers their own whitening kit so that you too can try out their teeth whitening system for yourself. To enter the GIVEAWAY all you have to do is CLICK HERE and leave your name and email address. Winner will be notified by email 2 weeks from today. The lucky winner will walk away with a $139 credit! That's not all! If you don't win you can still order your own teeth whitening kit and use the coupon code thriftywifehappylife to receive 10% off your order. Smile Brilliant was so easy to use! I loved it! Fun! I've never tried a teeth whitening system, but I've wanted to for so long! Your teeth look great!!! Such an easy system to use. I have seen so many great results from this system! Your smile looks beautiful! Looks like a great kit! You look fabulous! This looks like a great kit! I love that there's a desensitizer- I bet that makes a big difference! I've been seeing a lot of people use this brand of teeth whitening. It's good to know that it actually does what it's supposed to. Your teeth look great, it looks like you got great results! I tried this and loved them! Such a great whitener!